It was January 19th. Instead of sitting at home preparing for an onslaught from Winter Storm Harper, I was driving a rental car along A1A in on Hutchinson Island in Florida on the way to visit my brother. The weather was perfect! It was 70 something degrees and sunny. A1A, like most Florida roadways has dedicated bike lanes. Well, the shoulder has a bike painted on it every so often. Still, they do have signage to warn against the dreaded right-hook of a car passing, then making a right turn in front of a cyclist. Nonetheless, it was a beautiful day to ride a bike and there were plenty of people doing just that. Groups, pairs, and single riders whizzed along down the road. The roadies were mostly up on the hoods chatting with their companions or enjoying the sight of pelicans and frigate birds against the blue sky. The triathletes were down on the aero bars, staring at the pavement with the occasional glance at their power meter. You’d think after 8 years I’d have a picture of myself in an aero tuck. All I could think was “What the hell are they doing!? Why would anyone ride like that for hours on end without being paid to do so?” But this has been me for the better part of the last eight years. Gotta hit the power numbers. Gotta hit the speed. Gotta make the mileage. Gotta train right or I won’t hit my race goals. Honestly, what the hell happened that I ever thought that was fun? How did this become mandatory cycling equipment? 2018 was the first year in since 2008 that I didn’t race a single race of any kind. In fact, I bought my gravel bike at the beginning of the year and, once I recovered from surgery and weird foot injuries enough to ride I had a ball tooling around on and off the road with no power meter, and no training goals other than to go for a ride now and then. Toward the end of the season there was one day I thought I’d take my TT/Tri bike out for a quick spin and maybe sign up for a late season tri. After riding my awesome gravel bike a couple thousand miles, riding around staring at the pavement in front of me kinda sucked so I put it back on the trainer in the garage and there it has sat. up for sale toward the end of the season. I kind of figured my triathlon days were over given what I felt was going to be fairly restrictive, slow, running. You see, in Triathlon everyone has a weapon. Usually it is one of the three disciplines of swim, bike, or run. The vast majority of people my age are uber-bikers. 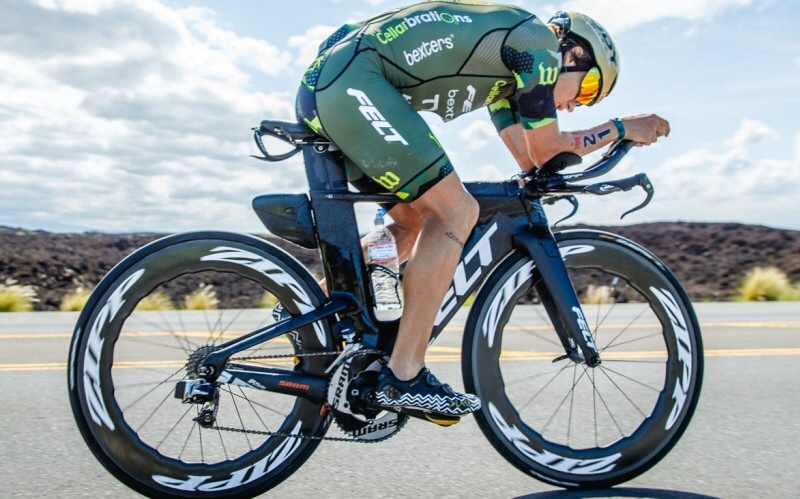 They have nearly unlimited funds to buy super-fast bikes with super-fast aero stuff and super-fast aero kit and they go ride approximately 3.7 light years per week in training before each race. Come race day, they dog paddle through the swim, make the jump to hyperspace on the bike, then do a modified mosey during the run. The bike leg . . . Occasionally, you find a good athlete that can do all three or at least bike and run, but the norm is float, hammer, jog. I see these people regularly fly by me on the bike passing with a gruff “ON YOUR LEFT” . Typically I’ve already moved far right as the motor-like sounds of a $4000.00 carbon disc wheel comes screeching from behind like the engine brake on an 18 wheeler. The demon on wheels flies by, his feet blurred with speed like the blades of a blender. As he passes I think “See you on the run”. That is because my weapon has always been the run. Even a moderate pace is usually enough to run down those tired biker’s legs. They hoist their feet and clomp them awkwardly down as if their racing shoes somehow morphed into Herman Munster shoes. They usually can’t respond when I pass. If I recognize the carbon fiber super-aero kit from the bike leg, I may even shout “ON YOUR LEFT”. Due to the post tibial tendon dysfunction, I felt like that ability was gone but my running has steadily improved and I’ve held sub-8 miles for fairly substantial times. Don’t get me wrong. I don’t think I’ll ever see a sub-20 5K again (once my strength rather than the marathon). But I have felt like I can run well enough again to at least make some noise near the podium. In fact I was already getting my swimming mojo back after getting a bit of chlorine burnout last year. For much of the year all I could do was swim and, frankly, I was a little sick and tired of it. But swimming has been going well. So well, in fact, that with running I thought maybe I’d dive back into the triathlon waters again. I was even dabbling in the market place for a new set of race wheels. This idea sort of came crashing down when I saw the triathlon heros on A1A dashing along, noses to the pavement, racing invisible foes on their daily training ride. Most likely they went back and posted on Strava how poor their training ride went. Do I really want to ride like that again? What’s the point? A finishers medal? It doesn’t help that there could be some pretty significant career changes afoot but I’m really not sure I want to continue in triathlon. Despite a couple years worth of water panic when I started Triathlon there came a time I relished the idea of bobbing in the water waiting for the horn to sound the start. Not so much now. I used to fear this. In recent years I’ve looked forward to it. As much as I love crossing the finish line I’m not sure that triathlon will be anything more for me than a fond memory. Or, if I do participate it may be on my gravel bike. Who cares? I just know I have zero interest in pressing my nose to the aero bars and buzzing along the asphalt like a turtle with rocket engines. I think my racing future may lie more in the journey rather than the destination. That is, I enjoy training and doing my best to stay fit. I enjoy the camaraderie of like-minded folks, but I’m not sure I have a great need to pay a lot of money to force myself to go participate in something I’m no longer all that enthusiastic about. I still plan to race, but will do so only when the mood strikes. I plan to pursue more fun events. Perhaps some I’ve done in the past that I particularly enjoyed or maybe try something new. I definitely have an eye toward gravel racing. I don’t know if there is such a thing as a “destination” 5K or 10K but I will certainly keep an eye peeled. I certainly plan to stay in shape to be ready but, from a cycling perspective this will probably happen on my gravel bike. Who knows? I may even start wearing socks! Coming soon: Really nice triathlon bike for sale. Previous Healthy Resolutions or Why do we do this? “I may even start wearing socks!” Socks? SOCKS?! You must be over the hill, or at least in sight of the crest!